IF RACIAL PREFERENCES in higher education were good for racial minorities in higher education, we surely would have seen the definitive evidence of it by now. Instead, a widening shelf of empirical research suggests that the opposite is true -- that affirmative action in academia is not advancing minority achievement but impeding it. More than 30 years ago, in the case of University of California v. Bakke, the Supreme Court gave colleges and universities a green light to admit applicants on the basis of race if their reason for doing so was to secure the blessings of a "diverse" student body. Many educators and policymakers concluded that lowering academic standards for black and Hispanic candidates – though awkward and controversial -- was a worthwhile tradeoff, since it would increase the number of minorities with advanced degrees and prestigious careers. Build racial diversity into each freshman class, it was widely believed, and more diversity among graduate students, academics, and professionals would ensue. But it hasn't worked that way. In a report published last year, the US Commission on Civil Rights explored why black and Hispanic students who enroll in college intending to major in science, technology, engineering, or math -- the so-called STEM fields -- are far less likely than other students to follow through on those intentions. The problem isn't lack of interest. Incoming minority freshmen actually start out more attracted than their white counterparts to the goal of a science or engineering degree. Nor is racism to blame. The Commission found that discrimination "was not a substantial factor" in the rate at which black and Hispanic students give up on science and math majors. Yet the bottom line is disheartening: Even after decades of affirmative action, blacks (relative to their share of the overall population) are only 36 percent as likely as whites to earn a bachelor's degree in a STEM discipline -- and only 15 percent as likely to make it all the way to a science-related PhD. And it's not only in science and math that the supposed beneficiaries of racial preferences fall behind. According to research by UCLA economist and law professor Richard Sander, more than 51 percent of black students at elite law schools finish their first year in the bottom 10 percent of their class. 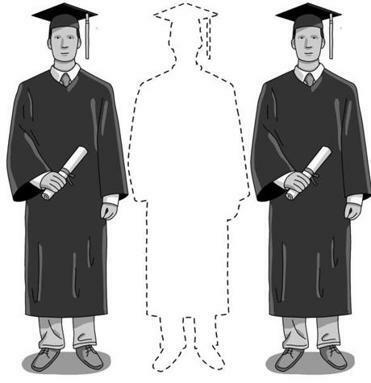 Black students fail or drop out of law school at more than twice the rate of white students (19.3 percent vs. 8.2 percent). And while 78 percent of white law school graduates pass the bar exam on their first attempt, only 45 percent of black graduates do. The inability of racial preferences to vault more minority students into high scholastic achievement shouldn't come as a surprise. When an elite institution relaxes its usual standards to admit more blacks and Hispanics, it all but guarantees that those academically weaker students will have trouble keeping up with their better-prepared white and Asian classmates. Minorities who might have flourished in a science or engineering program at a middle-tier state college are apt to find themselves overwhelmed by the pace at which genetics or computer architecture is taught in the Ivy League. Many decide to switch to an easier major. Others drop out altogether. This is the cruelty of affirmative-action "mismatch" -- the dynamic by which racial preferences steer minorities to schools where they are underqualified and therefore less likely to succeed. Absent such preferences, black and Hispanic students would attend universities for which their credentials better suited them. Many would earn higher grades or degrees in more prestigious and challenging fields; more would go on to graduate school and careers in academia or the professions. If it weren't for race-based admissions policies, in other words, underrepresented minorities wouldn't be so underrepresented. Racial preferences, says University of San Diego law professor Gail Heriot, have backfired. She is one of three members of the Civil Rights Commission urging the Supreme Court to recognize the damage it unleashed when it allowed racial "diversity" to trump the Fourteenth Amendment's guarantee of equal protection of the laws. Skin color was always an ill-contrived proxy for diversity of experiences and beliefs. What more than 30 years of race-based admissions have made clear, Heriot argues, is that "even with the best motives in the world, race-based admissions do far more harm than good." Especially to the students they are intended to help.